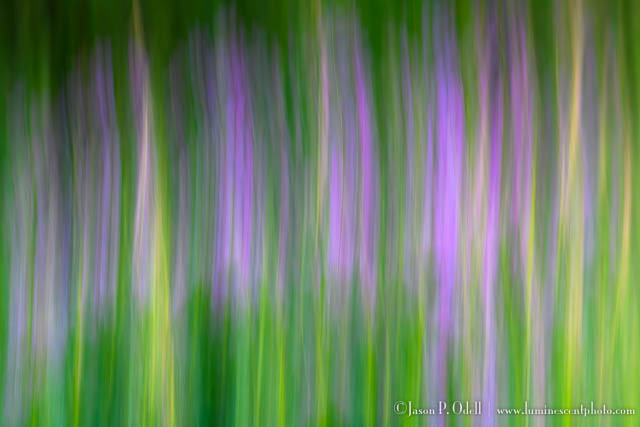 When I find myself overwhelmed or just need a burst of creativity, I look no further than using a deliberate pan blur, or “swipe” to create an abstract photograph. The idea behind a swipe is to use a relatively long exposure and move the camera either up/down or left/right while dragging the shutter. 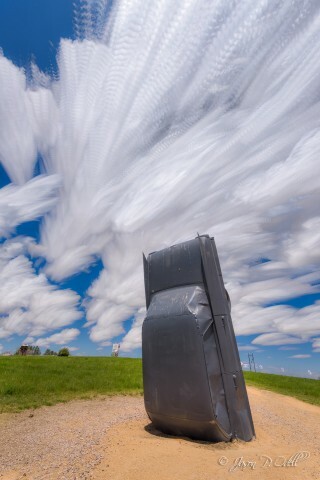 I find that with the right subjects, I can create some pretty fun images! Swipes are just one of the many topics I cover in my complete guide to long exposure photography. 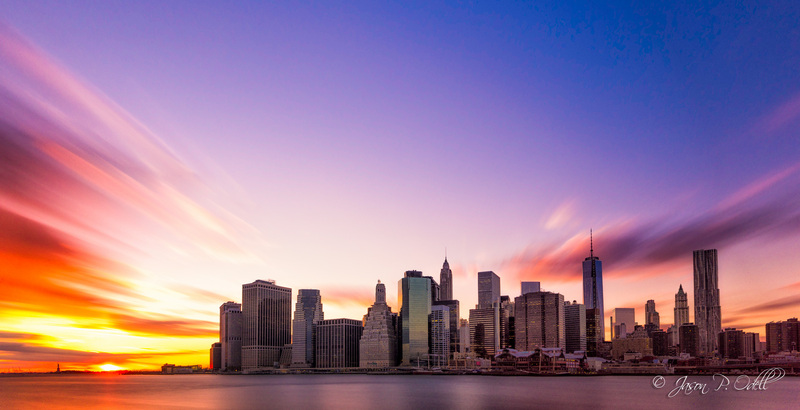 Despite cloudy, overcast weather in New York, blue hour always comes through! 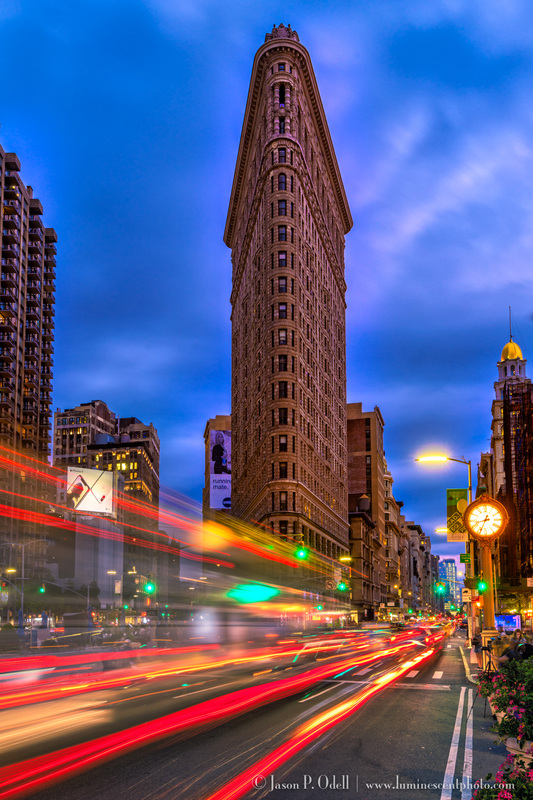 Discover the art of long exposure photography with Jason’s complete guide! 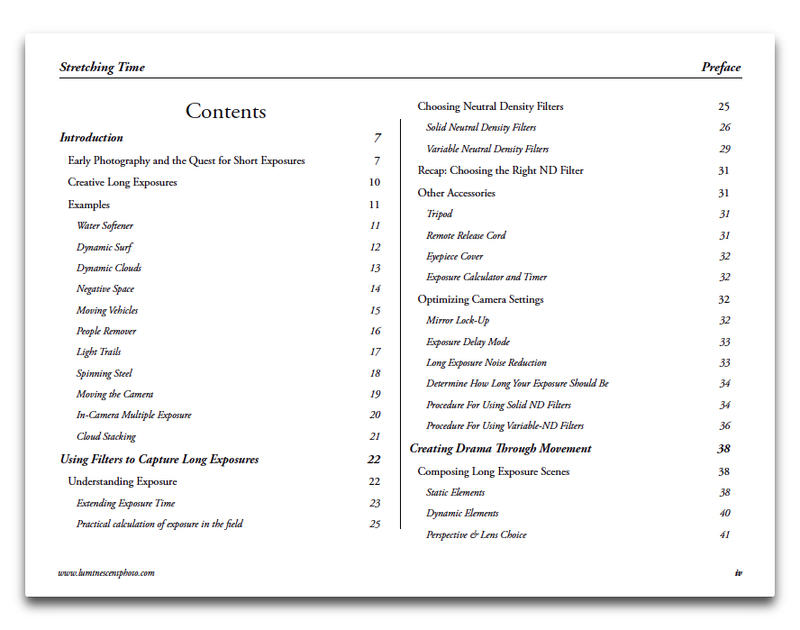 As I mentioned yesterday, I’m still working on finishing up my newest eBook, Stretching Time. Preview what’s coming in my soon-to-be released eBook, Stretching Time. Click image to view a complete PDF version. Hard to believe that it’s been 14 years. Join me in Colorado Springs, Colorado on Saturday, August 8th to learn the fundamentals of long exposure photography. 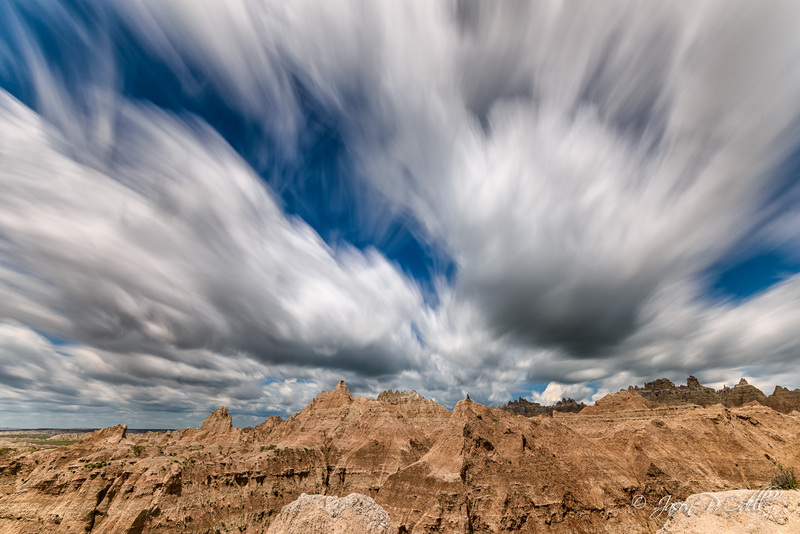 Learn cloud-stacking techniques to create unique time-lapse stills.